Dresslers Kunstjahbuch and Kunsthandbuch was meticulously compiled under the editorship of the interior architect and painter Willy Oskar Dressler (1876-1954). 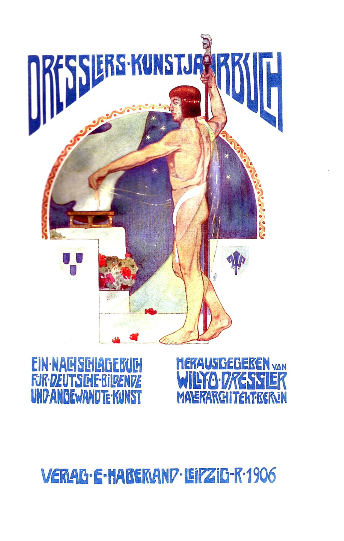 The title changed to Dresslers Kunstjahrbuch in 1921. This was the German equivalent of The Year’s Art (published from 1880), and the American Art Annual (published from 1898). It contains biographical information on thousands of contemporary German and German-speaking i.e. Austrian and Swiss) artists, architects, designers and art critics including many names not in Thieme-Becker, Benezit, etc.. Also contains a survey of the activities of most of the leading art galleries, museums, art societies, art schools, etc. in Germany and Austria. Very few libraries, even in Germany, have copies of this invaluable research source.